Corsair have practically redefined what 'low' cost means with the HS50, and its 'no compromise' did compromise a little. There is no denying that on first glance, that the HS50 looked and felt like a premium headset, and due to that, it almost feels like that is exactly what it should be. The design and sleek aesthetic clearly is intending to send the cheeky 'look at what we can do' message to their competitors, and rightly so. We could be accused of expecting too much for the price, but what's the point in creating a Rolls Royce only to replace the engine with a hedgehog, and the plush leather seats with those from a used Vauxhall Corsa? So, it is very tempting to accuse this headset of being a pretender, a beautiful victim of restraint. The build quality is better than many headsets twice its price, yet when you look closer, there are several facades that fall away. The comfort is compromised by the moderate clamping force and unimpressive non-removable earpads. The audio output is rich in bass, but lacks in the detail the mid-upper tones, and the overall impression is of disappointment simply because of how awesome it appeared at first. In regards to considering its performance and value, the HS50 is a beautiful, well-made alternative. It does several things better than others at a similar price point, and if you specifically enjoy a deep bassy tone that shadows every other tone, you will likely love the HS550. 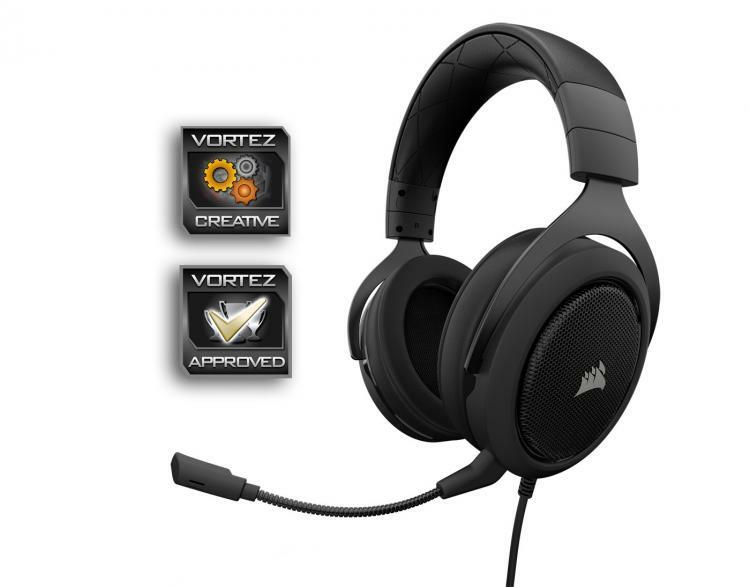 Corsair set themselves a bold task with the HS50 and in one respect they achieved it. The sleek aesthetic, and enjoyable all round performance makes it a worth while alternative at a very attractive price-point.